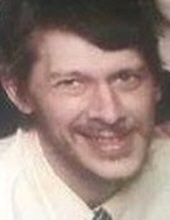 Toporek, Joseph Peter - Age 48, of Flint Township, died October 10, 2018. Funeral services will be held 1 PM Monday October 15 at Sharp Funeral Home & Cremation Center 6063 Fenton Rd. Flint. Visitation will be held 10 AM Monday until the time of service at the funeral home. Joseph was born April 1, 1970 the son of Peter and Linda (Christensen) Toporek Jr. He was a graduate of Bentley High School. Joseph proudly served his country in the U.S. Army. He is survived by his sister, Heather (Mike) Veal of Mt. Morris; brothers, Daniel Toporek of Burton, Jeff Rude of Mauldin, NC, Darrel Rude of Sunbury, PA.; sister, Tiffany Ng of Rougemont, NC. ; many nieces and nephews. Joseph was preceded in death by his parents; significant other, Debbie Szuber. Online condolences may be shared on the obituaries page of www.sharpfuneralhomes.com. To send flowers or a remembrance gift to the family of Joseph Peter Toporek, please visit our Tribute Store. "Email Address" would like to share the life celebration of Joseph Peter Toporek. Click on the "link" to go to share a favorite memory or leave a condolence message for the family.